We love to upload and share photos on Facebook, don’t we? Majority of us want photos to be uploaded and displayed in an organized manner. 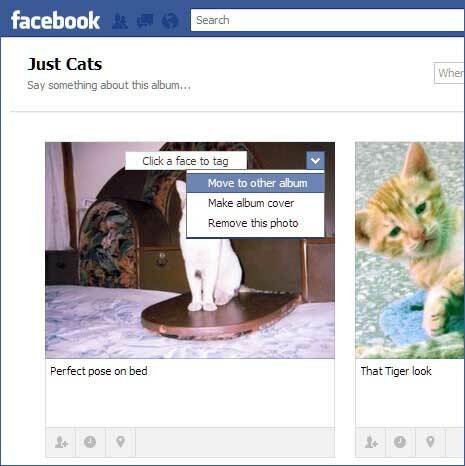 Facebook allow users to change order of photos and albums in few simple clicks. At times, specific photos get uploaded to a different album. Are you looking for an easy way to move and transfer photos from one album to another photo album on your Facebook account? You can easily move photos to a different album using “Move to other” option. This eliminates the need to delete photo and upload it again to a different album. You can simple move an existing photo from one album to other photo album in few mouse clicks. 1. To get started, login into your Facebook account and then click on your profile name at top left. Once your profile page is opened, click on Photos section. Now you should see all your uploaded photo albums. 2. Click to open photo album from where you want to move photos to a different photo album. Once album is opened, click on edit album button to activated editing mode. 3. Now mouse hover over the photo that you want to move and then click down arrow button. Now click to select ‘Move to other album’ option and then select different photo album from drop down box. 4. Once you select destination (different) photo album, click Move photo button to transfer selected photo from current album to selected photo album. Using similar routine (as above), you can move any photo from any photo album to a different desired photo album of your choice easily. 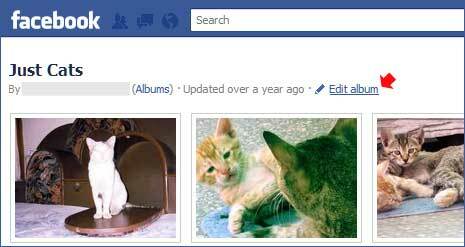 Now there is no excuse of not organising photos in different albums properly on your Facebook account, what say?